Find out why missing teeth need to be replaced as soon as possible. While a gap in your smile might not seem like the biggest problem it’s all the things you cannot see that could pose further risk to your oral health. Our Marietta, GA, cosmetic dentist Dr. James Hutson is here to provide a little information about what untreated tooth loss can do to your oral health and what treatment options you have. What problems can tooth loss cause? 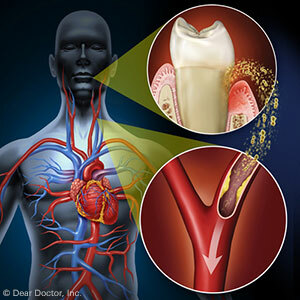 Tooth loss can happen for a variety of reasons from decay and gum disease to traumatic injuries. You may be missing a single tooth or multiple teeth. Once you lose a tooth, there are certain changes that begin to take place in your mouth. Obviously, more severe changes will occur if you leave your tooth loss untreated for a longer period of time. Now that there is a gap in your smile the rest of your teeth will begin to shift into that open space to fill the spot. As a result, your teeth will become misaligned or even crooked. Having to also need braces on top of replacing a missing tooth can be frustrating, to say the least. Sadly, this isn’t the only issue those with tooth loss will face. The jawbone needs stimulation and it gets it from all of your teeth’s roots. Once a tooth is missing the bone is no longer getting stimulation from that tooth, which causes the bone to breakdown and deteriorate. The longer you ignore this issue the more significant your bone loss will get. As you may be able to imagine, at this point, the jawbone has started to deteriorate and affect the shape of your face. The chin recedes and skin sags and cheeks cave in. We can probably agree that no one wants this to happen, and luckily it can be stopped if you get the proper care right away. Our Marietta, GA, dentist is here to make sure that you get the treatment you need to replace all of your missing teeth. Whether you are looking for an inexpensive option like dentures to replace your teeth quickly or you want a restoration like dental implants, which are as close as you can get to natural teeth, we have the answers you are looking for to fit anyone’s needs and budget. Prevent these issues from ruining your oral health for life. Turn to the Marietta, GA, family dental experts to give you back a beautiful restoration and protect your smile. Call us to schedule your consultation.